Wanting to maintain youthful and fresh appearance is a natural desire of people, especially women, and luckily nowadays there are numerous methods that we can use to reverse the aging process. 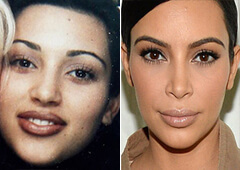 Plastic surgeries are not something uncommon in Hollywood where looks play a huge role in how successful a celebrity can be. 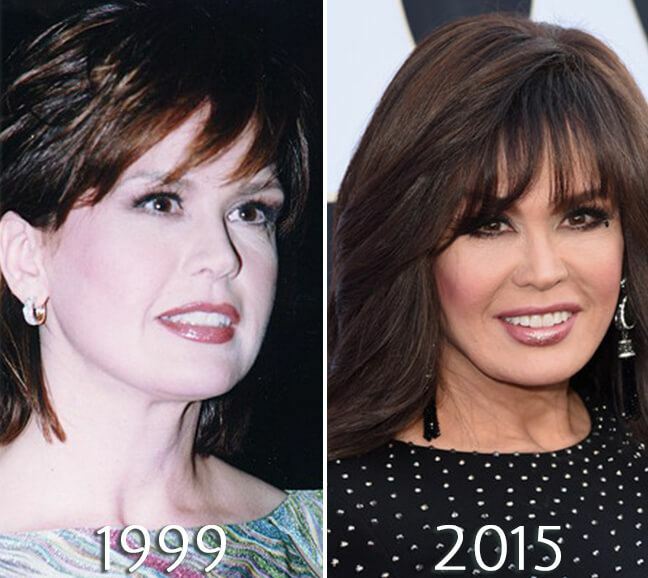 Today, I decided to take a look at Marie Osmond, as there are numerous articles on the web speculating whether the star had plastic surgery. Marie Osmond, born on the 13 th of October, 1959, in Ogden, Utah, is a famous American actress and singer associated with a number of projects over the years. The majority of people are familiar with Marie Osmond through her work with her brother on the famous variety show in the mid-70s – Donny & Marie. The under eye area of the entertainer looks devoid of any wrinkles, which is quite unlikely at her age, even for someone with amazing genes. My guess is that Marie Osmond has undergone the lower eyelid lift, which ensures the wrinkle-free appearance that we can observe in the photos. You won’t find a line on Marie’s forehead, which I believe is thanks to the injections of Botox, but it’s difficult to tell for sure. Another procedure that could cause this effect is forehead lift, which can actually explain why her eyebrows look more arched in comparison to the previous years. Also, the wrinkles that usually appear between the sides of the nose and the corners of the lips and become a lot more prominent with age are also almost non-existent. 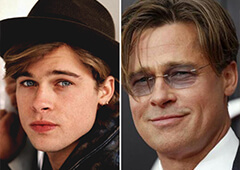 In my opinion, they were smoothed out using either Botox or Restylane. It’s only natural that full cheeks are associated with youth, but, unfortunately, the aging process causes the skin to lose its elasticity and natural collagen, thus making cheeks look less toned and more sunken. As a result, an entire face can appear gaunt and lifeless. Marie has always had quite a round face with full cheeks, which I believe is something that she now maintains with the help of temporary cheek fillers. Gravity is merciless, and sagging jawline is something that the majority of women are worried about when they get older. By comparing the recent Instagram photos of Marie to the ones taken several years ago, I suspect that the former TV host has tightened the skin under the chin and around the lower part of the face by undergoing the jaw lift. Over the last couple of years, lip injections have become extremely popular with both young and mature women wanting to have lips that are plump and smooth. It’s not a secret that our lips continue to lose their fullness as we age, which is the reason why older women often decide to undergo the lip-plumping procedure. 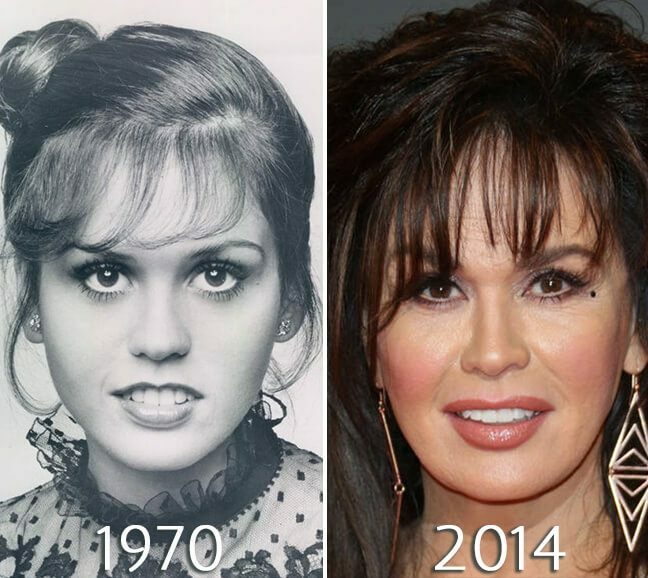 While the lips of Marie Osmond were already quite full when she was young, by taking a close look at her recent Facebook photos I can make an assumption that the actress may have resorted to lip augmentation, most likely using hyaluronic acid. Her lips look significantly plumper, which is especially noticeable when we look at the upper lip. Because of the additional fullness, the upper lip has a defined cupid’s bow, which was not as prominent before. The overall evenness of the skin and the absence of any fine lines may be a sign that Marie undergoes laser treatments, which allow her to get rid of any discolorations and other skin issues. While it’s possible to make assumptions about what plastic surgery had been undergone by the entertainer, it’s difficult to say for sure. 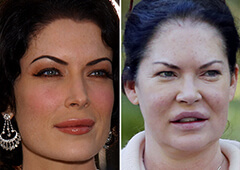 I believe that Marie used a combination of a facelift, especially to improve the jawline, and Botox for getting rid of the wrinkles, such as the ones under her eyes, forehead, and around the mouth. In addition, possible cheek and lip fillers have brought more youthful fullness to the face in the mentioned areas. Well, it’s difficult not to agree.